Are you going to participate in the Earth Hour campaign to create awareness on global warming ? 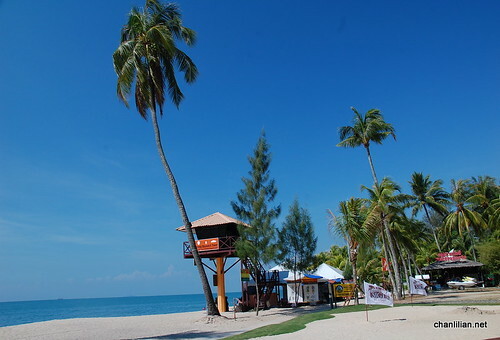 If you are in Penang, the hour to observe is 8.30 pm to 9.30 pm on Saturday, 2827th March 2010. Switch off the lights for an hour and be part of the movement to save Mother Nature from further destruction. If you wish to take it a step further, how about having dinner by the beach, under the shimmering stars and blazing torch? 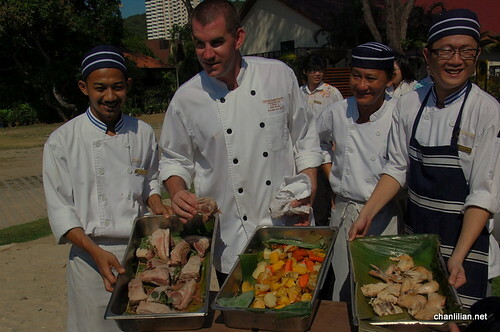 Executive Sous Chef, John Brock and his team of chefs from Sigi’s Bar and Grill of the Golden Sands, Penang have embraced nature by cooking foods in the most unique way. 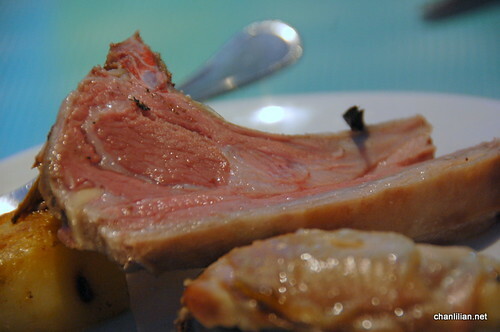 It is call Hungi style, which is a Maori traditional way of cooking. They dug a hole in the grounds, placed burning charcoal and firewoods underneath, put the lamb, chicken and root vegetables wrapped in banana leaves, cover it earth and then, allow the foods to cook for about three hours in the grounds. 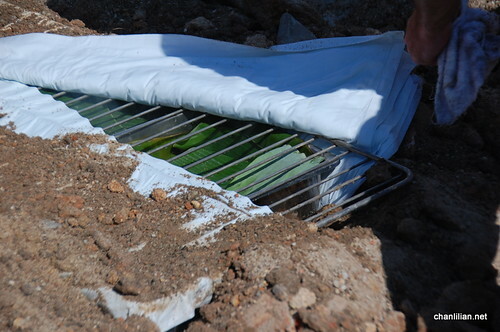 The moment they removed the top layer of the earth, a whiff of smokey, banana leaves fragrance mingled with the mouthwatering aroma of lamb and chicken drawn food bloggers, Lingzie, CK Lam and I to the pit. We were excited to sample this Hungi style foods because Chef John told us that this is probably the first time, such method of cooking is done in Penang, and even Malaysia. He shared that no flavourings or spices need to be added because the banana leaves and the cooking method impart all the taste. He merely plucked a handful mint leaves from their spice garden and put them in the lamb. 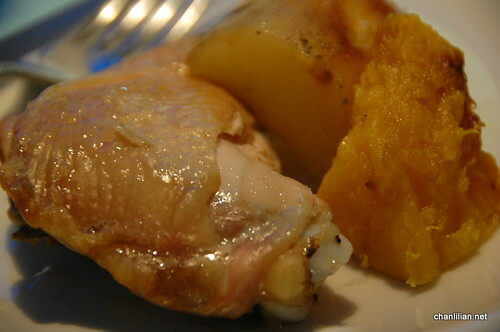 The chicken and root vegetables like potatoes, carrots, pumpkins, yam, sweet potatoes and etc. 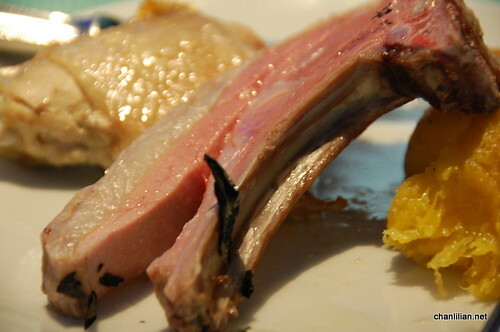 The lamb was very tasty, with a nice smoky taste and very tender meat. We complimented Chef John. He told us he purposely leave the fats on the lamb during cooking to seal in the juices and impart the flavours. We can remove the fats easily during eating. Now I know the secret, leave the fats on during cooking, trim them off before serving. Then, come the dessert moments. We were give four types of dessert. I guess I don’t need to elaborate the tastes as you can imagine them from the photos. 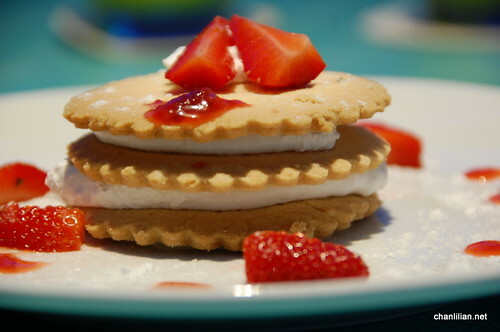 The above is the shortbread. I got the recipe so let me bake them and share the recipe when I am done. There are other desserts but I shall make another post or else your saliva is probably flooding the keyboard now. If you want to have a taste of this Hungi style of cooking, head over to Sigi’s this Saturday. Remember, Chef John is going to cook it one more time only. 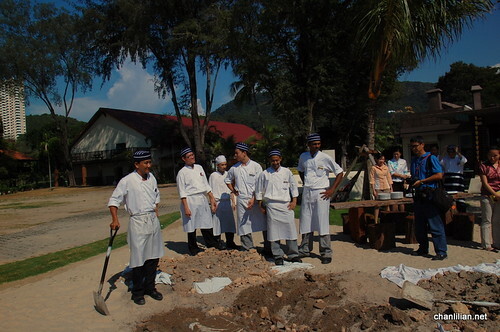 (cos poor man and his team had to dig a really deep hole and get the other guys to help him with the metal grill, wet sheets and he is not going to toil under the burning sun that often) You better make your reservation now because quantity is limited. But dessert is available all the time so it is always a good excuse to sit by the beach, sip some cocktails and enjoy the tarts. I find it really nice that Golden Sands come up with this marvellous idea of using nature’s bounty to prepare foods. No gas, no electric grill, no artificial flavours, just Mother Nature’s wonderful offerings. Food cooked the Hungi style tastes good. Natural juices are retained. In hawaii, this is called a Luau. The hawaiians or polynesians cook their food this way and I must say they have the lava rocks to make the food taste superb! The whole pig is cook this way too and although I dont like babi, I must say the pig cook this way is very delicious. 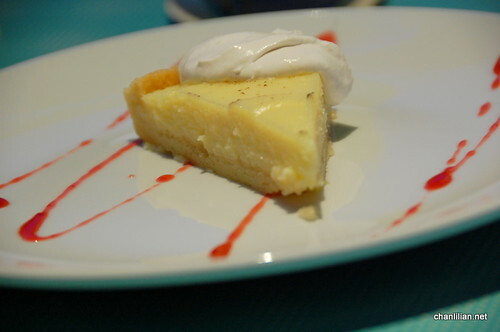 The custard texture in lemon tart is from eggs and heavy cream. This is a very easy tart to make and it is very very delicious. I sometimes mix lemon and lime… Yumms!